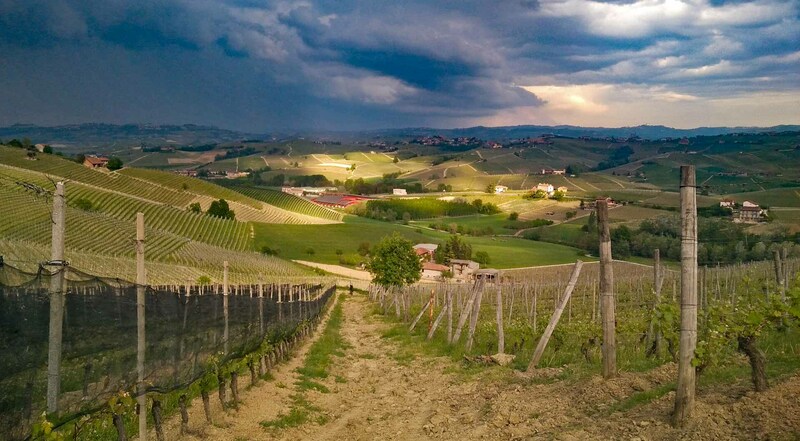 The trail winds for 11.5 km around the village, among the most famous and historic Barolo vineyards and cru. 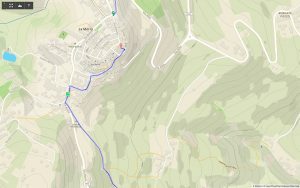 It can be covered either by foot or on mountain bike. Designated white-red signs accompany you in this up-down path among the vineyard rows, while passing beside farmsteads, villages, wineries, former convents, chapels, cabins and secular trees, and allows you to admire a unique and fascinating landscape. Follow the signs of Path No. 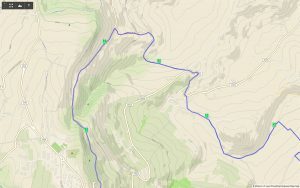 7, red route. From the La Morra Tourist Office head down towards Alba, along via Alba. The itinerary begins on a road stretch of wooden boards that runs along an initial stretch of paved road. 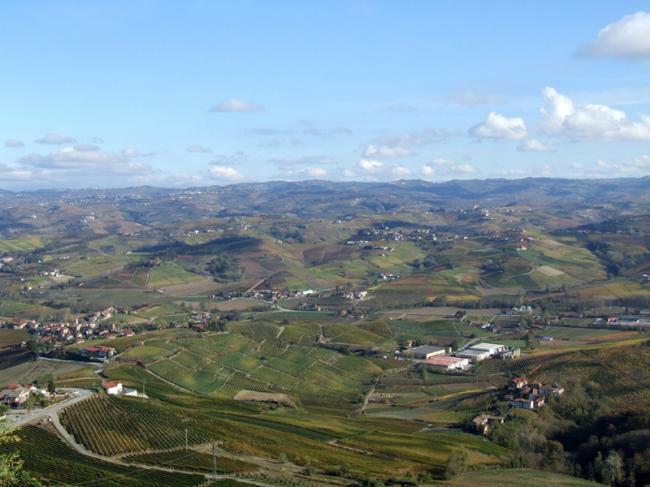 From here the panorama stretches between the Gallo plain and Castiglione Falletto. 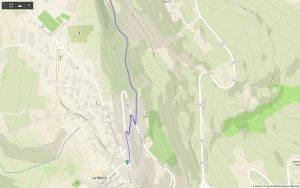 After a short walk, at the height of a prunus tree, take the dirt path which, going down on the right, cuts the bends and leads to the provincial road. At this point you need to cross the road and continue on an asphalt road towards the township of Silio. 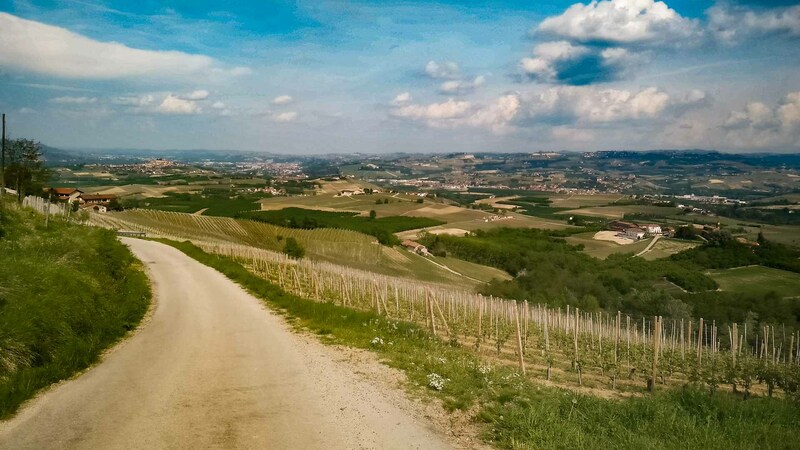 After roughly 250 meters you’ll reach a breathtaking panoramic point with a view overlooking the vineyards of La Morra, the Roero hills and the village of Santa Maria. Cross the ecological area. 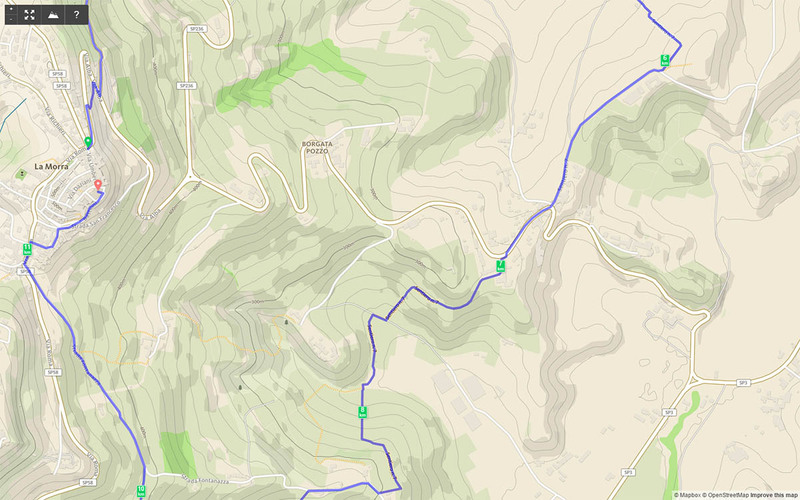 You’ll then encounter a juncture: stay on the asphalt road and cross the dirt road on the right. 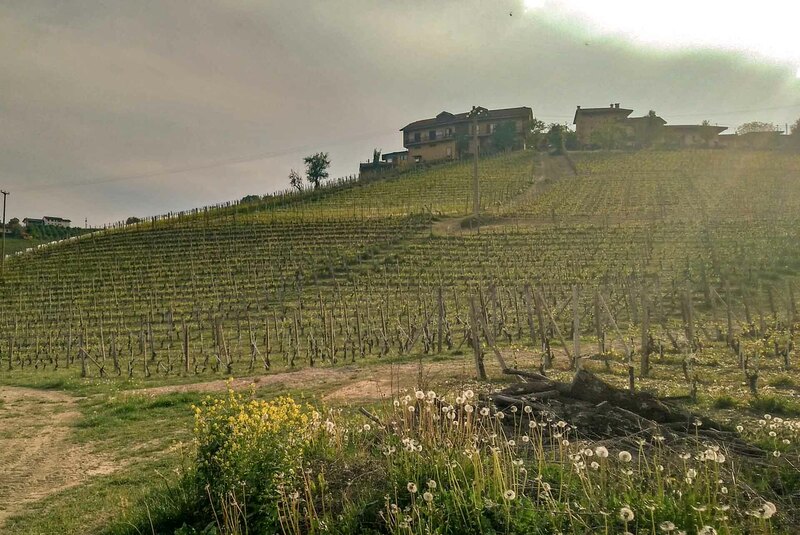 From this point you can admire a cliff, an uncultivated area and a bit of wilderness that stands out over the orderly vineyards landscape, and the village of Santa Maria, dominated by the church. Continue half way up the hill, close to the top, leaving behind La Morra, of which now only the church bell towers can be seen. 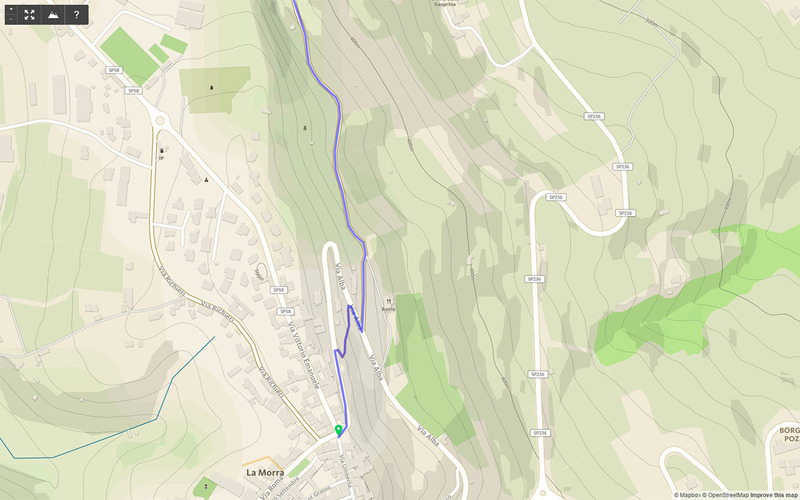 You’ll now see Silio in front of you at roughly 2 km, take the dirt path. 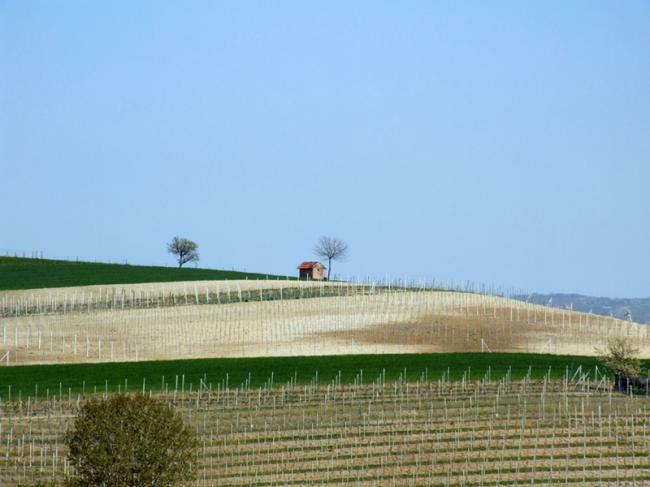 The vineyards around you belong to the cru Roncaglie. Continue to walk along the vineyards, towards Santa Maria. The road becomes paved once again. 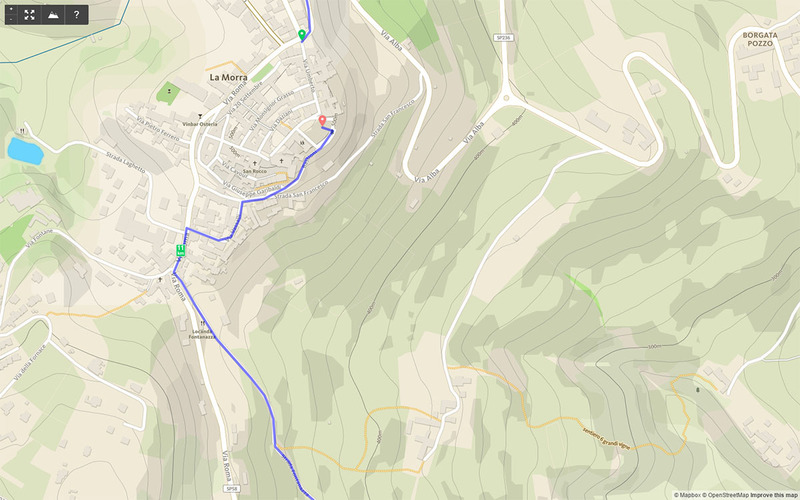 At roughly the 3rd km you will encounter a small stream of water: cross it and start climbing to enter the hamlet dominated by the church perched on the highest point of the hill. Walk past the old school and continue on the main road. 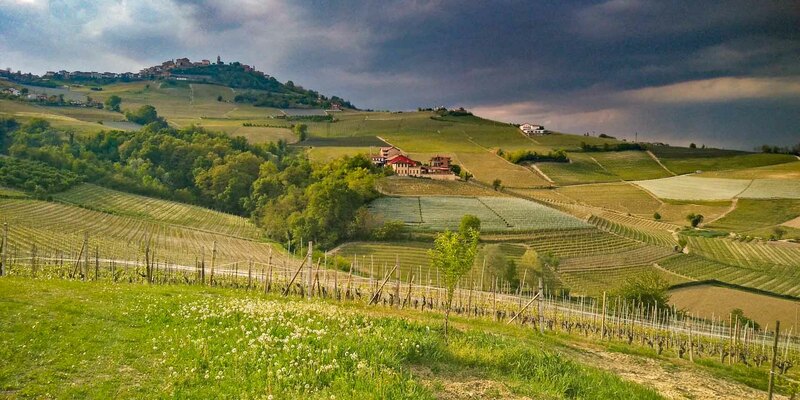 You’ll happen upon the Osteria del Vignaiolo, a restaurant with rooms, ideal for resting. Continue following the curves on the right. 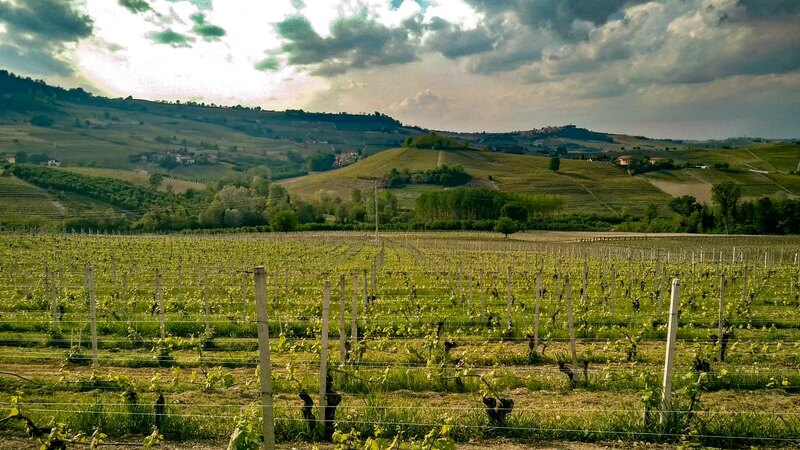 From a distance you can see the town of Annunziata, your next itinerary stop. When leaving the second hairpin turn, follow the white-red markings placed on the lamp posts. 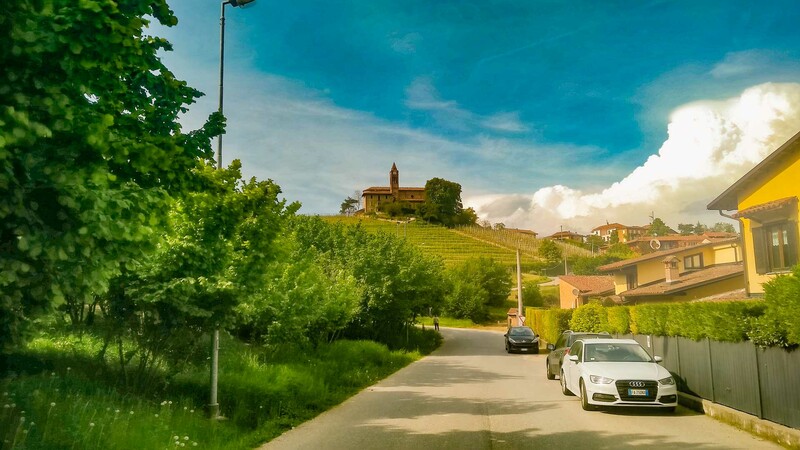 Turn right towards the Cantina Alessandria Silvio winery in the San Biagio hamlet direction. Here the trail is signaled, but the signs are found just before the turning point. Be careful not to miss them. You’ll then reach a T junction in front of some houses: turn left. 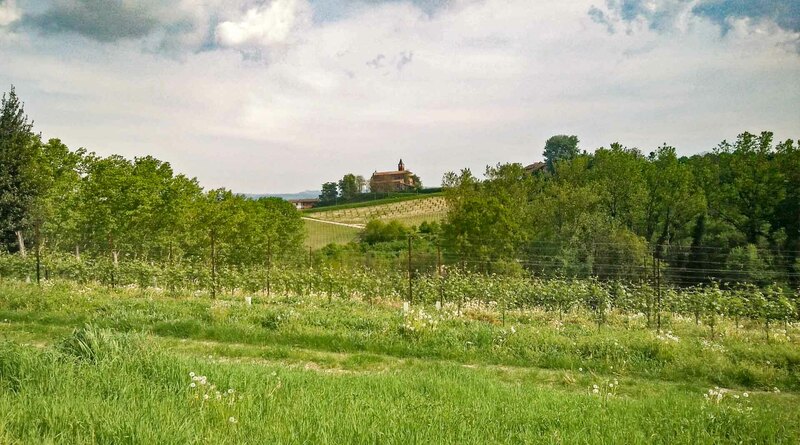 Here, the landscape is much more pleasant, with some houses scattered here and there, and a panoramic opening on both sides: look left to the hills in the direction of Alba and on your right you’ll see La Morra and its prestigious Nebbiolo vineyards. 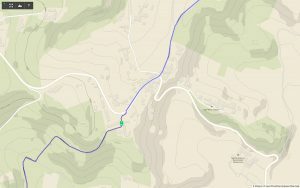 At roughly km 4, take the small paved road on your right. Circumnavigate the Bric San Biagio plot. Continue along the stream on the dirt road. A little further on, take the headland on your left. At roughly km 5 turn once again right and cross the stream. At this point the trail crosses the hazelnut groves and begins to climb, bending towards La Morra. Go back into the vineyard and turn right. At the height of the century old oak turn left and head towards the famous cru Gattera. Turn around to observe the panorama: behind you you’ll see the town of Verduno and, to the right, the town of Roddi and its castle. At the end of the climb, keep right and continue on the asphalt. 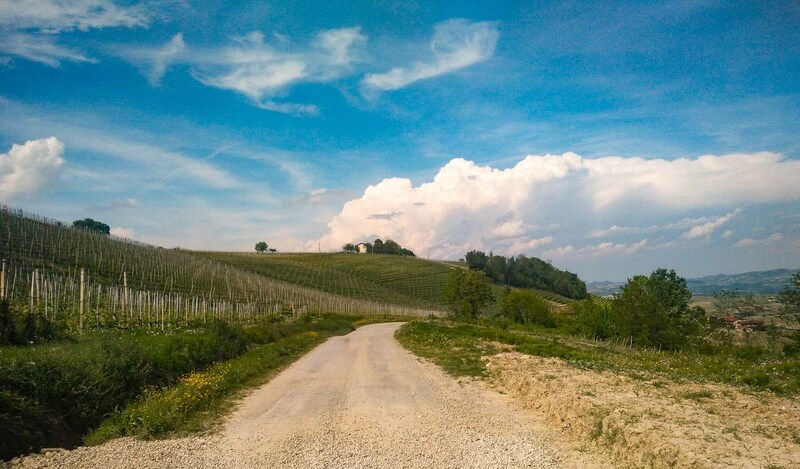 Now the road is more or less flat in front of the Cantine Monfalletto di Montezemolo winery. Continue on and go past the the hill top. 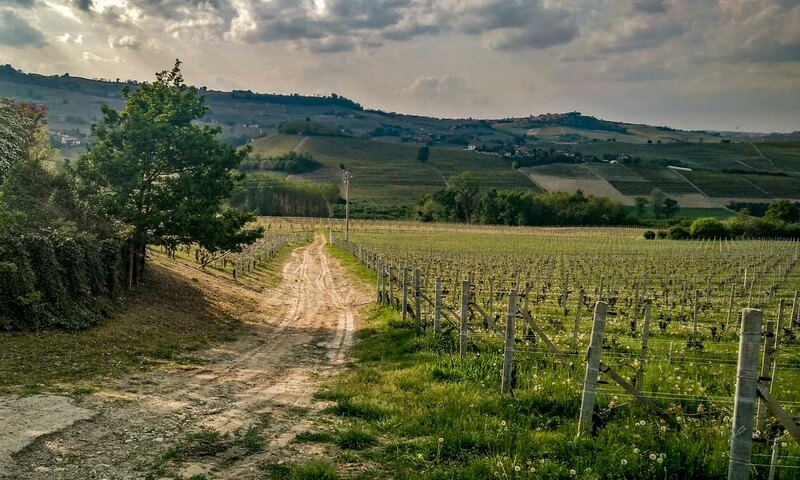 Observe the landscape: on your left you’ll see the castle of Castiglione Falletto and to your right the Cedro del Lebanon, a secular tree of extreme beauty planted by the Falletti family in 1875. 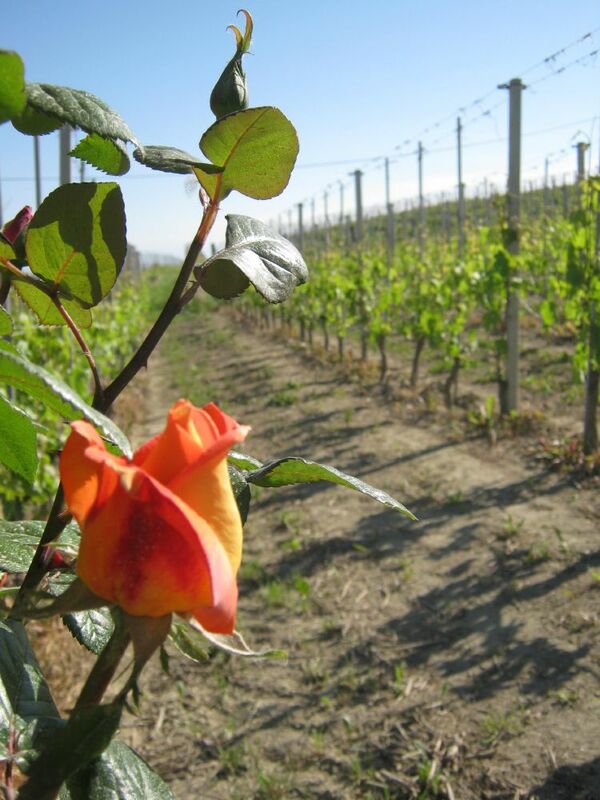 If you’d like to taste the local wines, you will find the Cantina Fratelli Ferrero and the Cantine Marrone wineries. 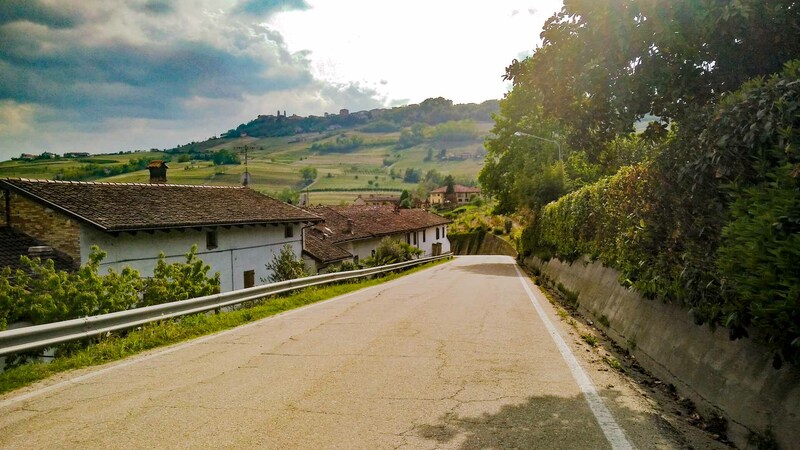 Enter the hamlet of Annunziata, continue walking on the provincial road which leads to the village Abbey, one of the most significant monuments in all of Barolo in Langa. The church, with its Romanesque bell tower and Baroque facade, preserves 18th-century frescoes and a Roman tombstone in the floor. The adjoining cellars of the former Benedictine monastery of Mercenasco house the Ratti Museum of Alba wines. 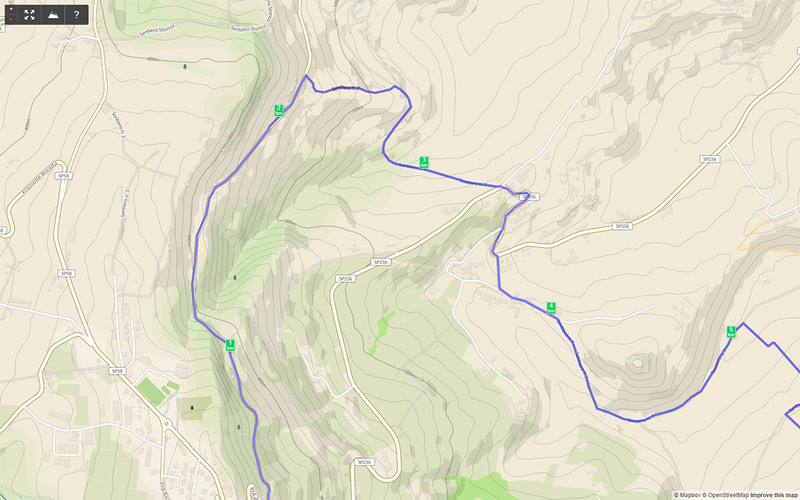 When leaving the township, just before the first hairpin, you’ll see a small square on your left. 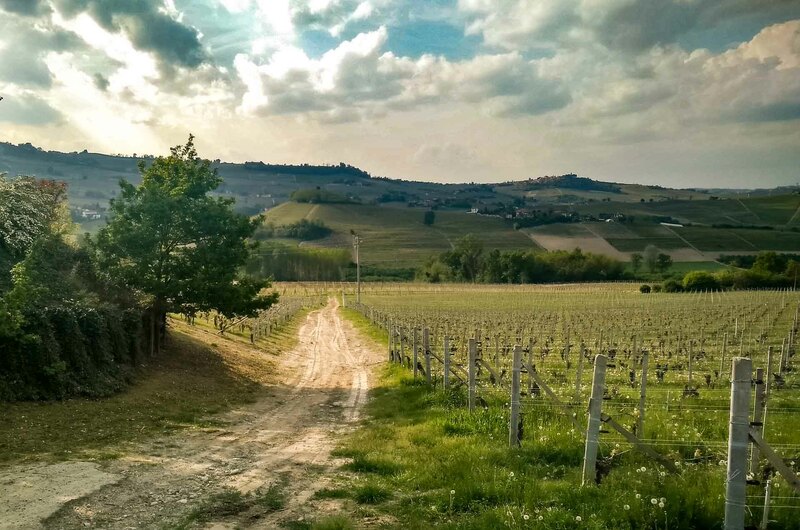 Turn left onto the dirt road towards the Rocche dell’Annunziata, another historic cru of Barolo. 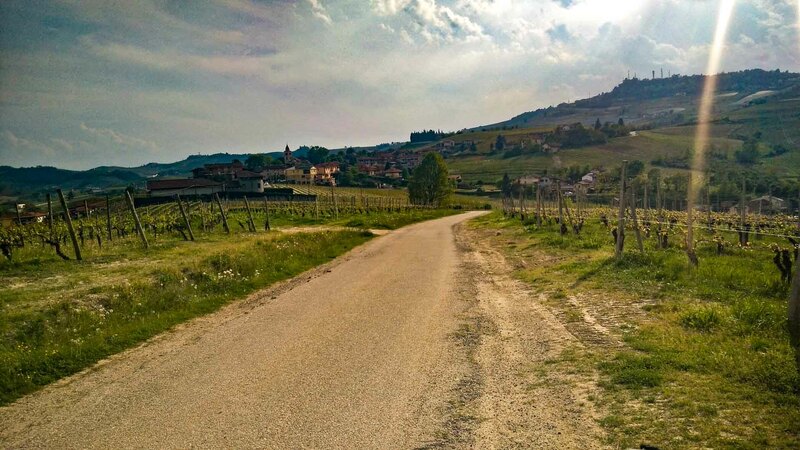 Once you pass the Cantina Angelo Germano winery, the path turns left and goes down to the valley. 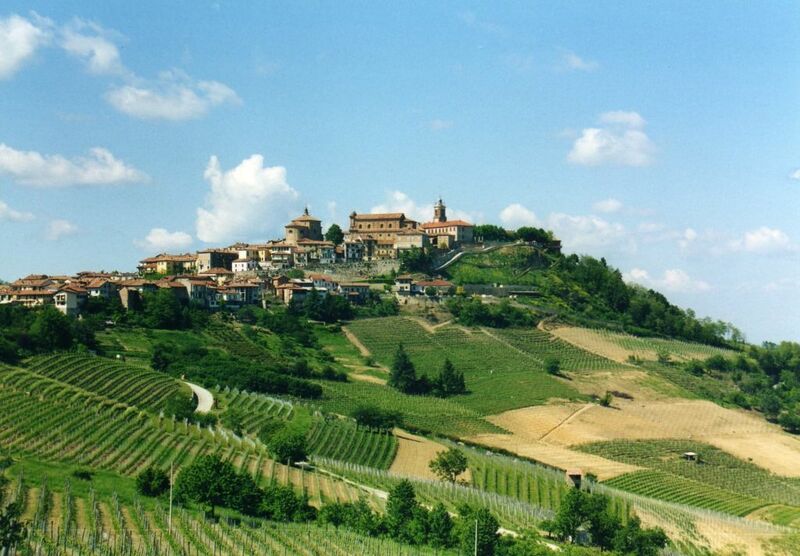 Here, on a clear day, the Castiglione Falletto castle seems as though it’s just a few meters away. Descend on the left and, once you reach the crossroads, on the right you’ll see a small group of houses in the hamlet of Torriglione. Turning left you’ll come across a small brook with a bridge made with wooden slabs. Here, the real challenge begins. 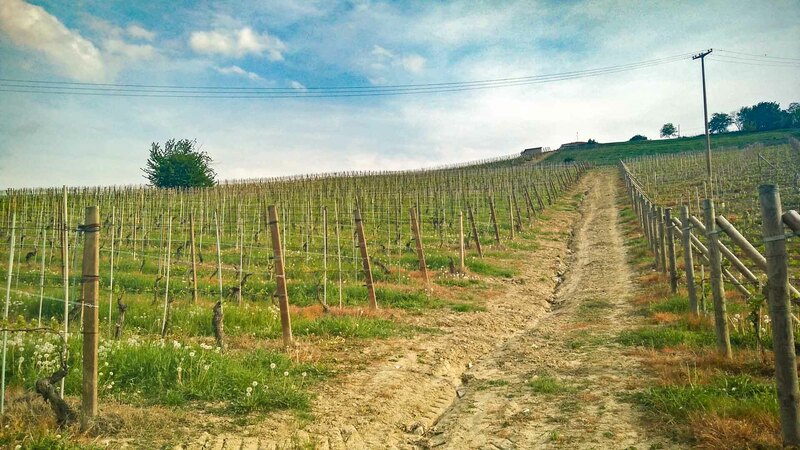 Start climbing a steep, sunny vineyard and, at half-way turn left and then begin climbing once again turning right. At the top of the hill you’ll see a breathtaking spectacle: an almost 360° view shows Castiglione, La Morra and its small hamlet Santa Maria. 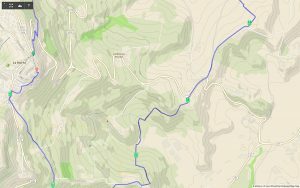 At around km 7.10 the road is once again paved for a short stretch and climbs towards the Fontanazza hamlet. 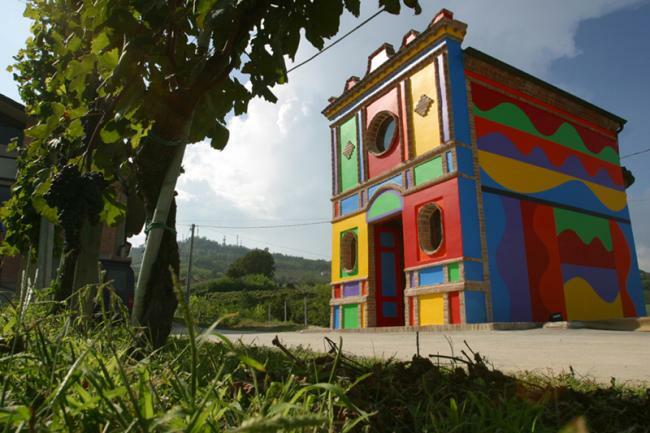 Here, you’ll come across the colorful Cappella di SS. 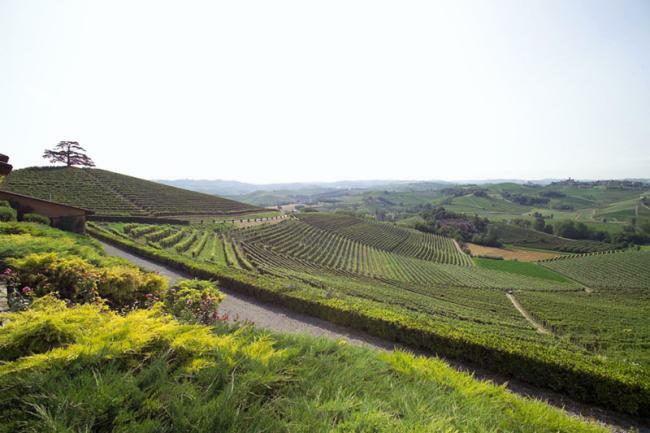 Madonna delle Grazie chapel, better known as the Barolo Chapel. Built in 1914, this little church has never been consecrated and today belongs to the Ceretto family. In 1999 it was transformed, as you see it today, by artists Sol LeWitt and David Tremlett. Continuing on, a turn to the left makes way for the legendary cru Brunate. 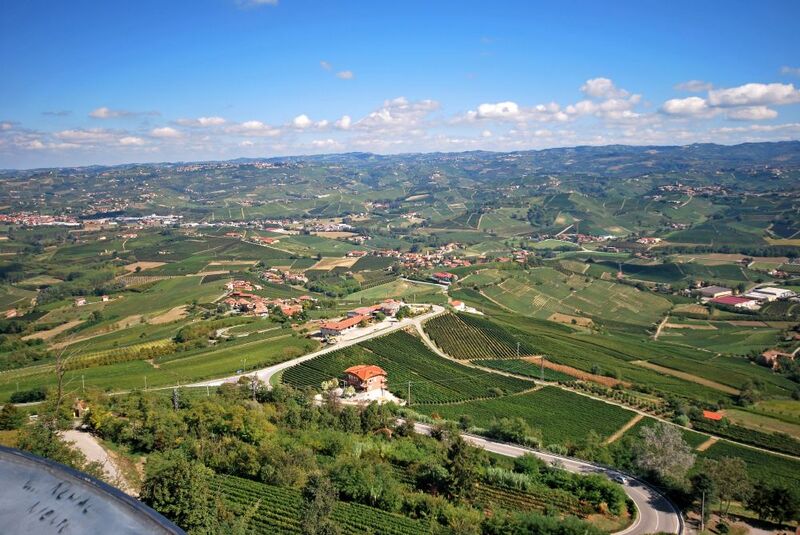 Look out into the distance and enjoy the panorama that offers the Castle of Volta and, to the left, the town of Barolo. 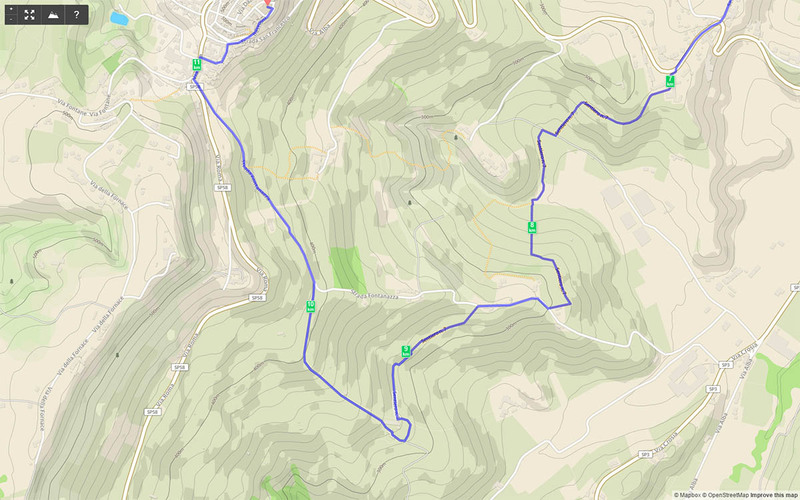 After a short walk on a flat path, go down once again and enter the equally famous cru Cerequio. 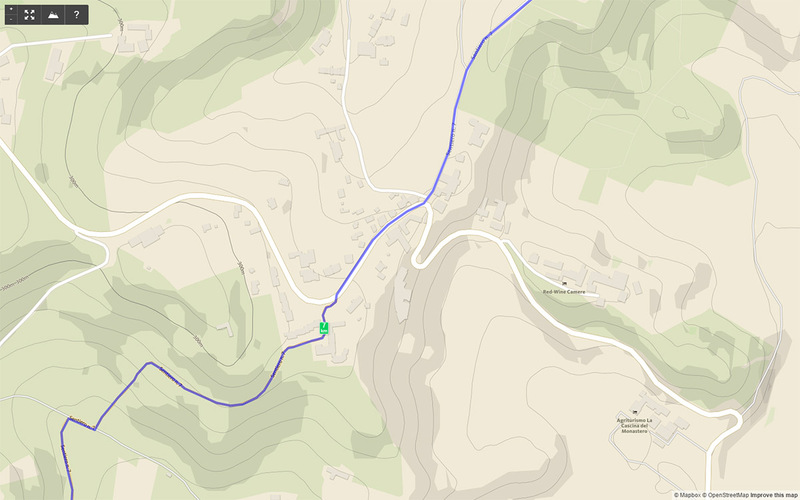 Now enter the small hamlet which gives its name to the well-known plot of land and preserves a memorial plaque in honor of those partisans who died during World War II. A long, steep stretch on paved road awaits you, but the beautiful landscape will certainly be worth the fatigue. On a clear day you’ll be able to admire up to three or four rows of hills that stretch to the Alta Langa. 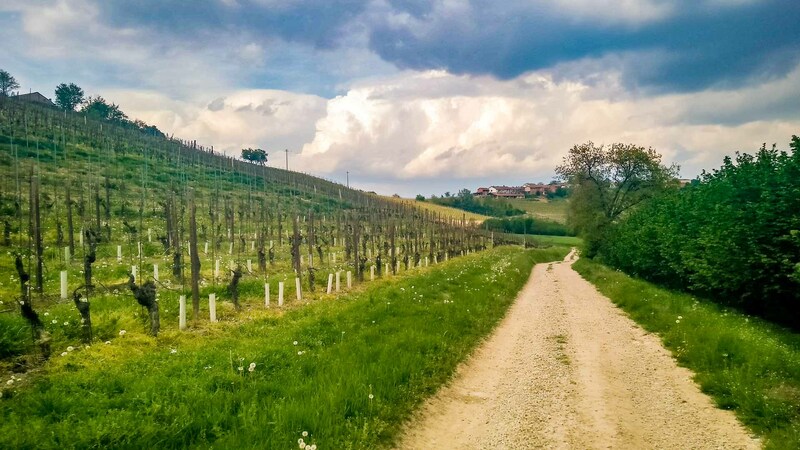 The path goes back to dirt and gravel and runs along the renowned vineyards up to the town of La Morra, whose medieval bastions can be seen. Enter the town and continue climbing until you reach the Cooperative Winery, where you can stop for a good glass of wine. To end the trail with style we recommend you visit the Piazza Castello (the belvedere piazza) and look back at the 10 km you’ve just finished walking. 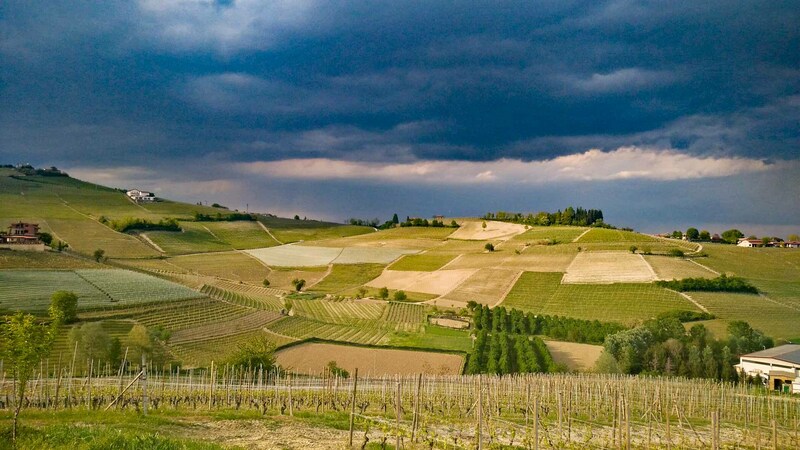 Taken from “La Morra – The Barolo vineyards and their path” by the La Morra Cooperative Winery. 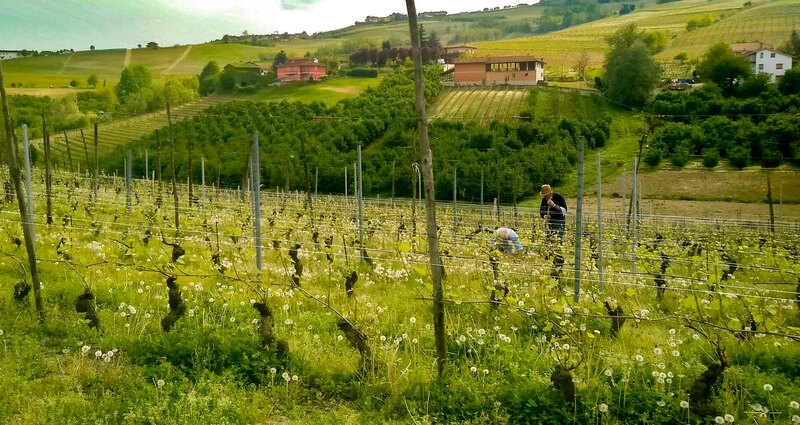 La Morra, in the area of production typical of Barolo, is a place of leisure and vacation, thanks to its enviable position on the top of the hill. 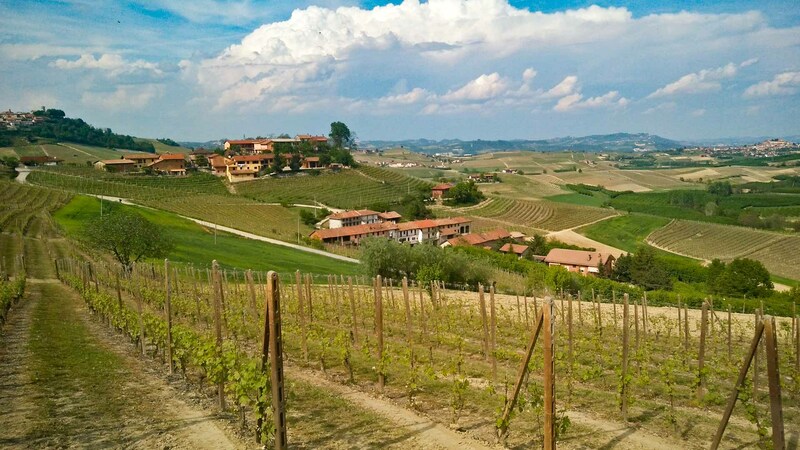 Are you planning a trip in the Langhe region? If you want locals people's guidance, and to plan your vacation in autonomy, fill out the form below. Tell us what you love and leave for an unforgettable trip! we'll design a personalized trip!